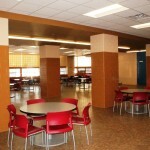 “We have remodeled our culture and attitude. 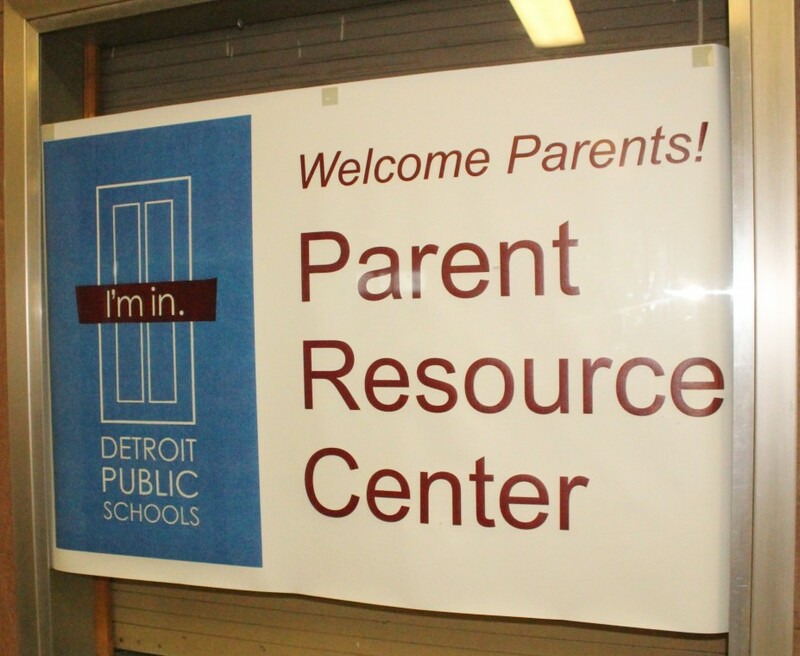 Our high expectations for looking and acting professionally resound in the halls and we have embarked on a new era of education,” Parker says. 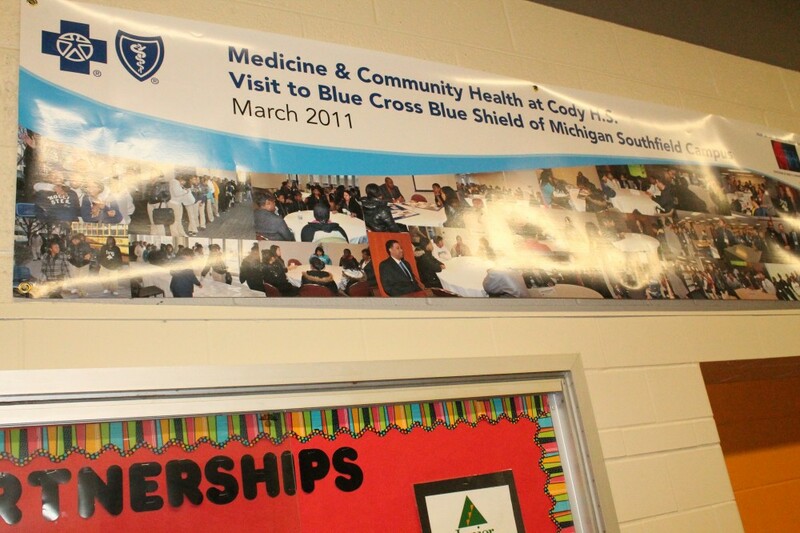 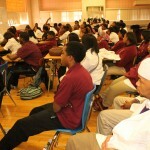 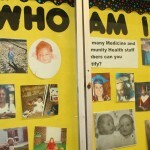 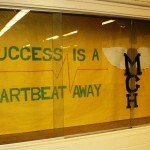 Medicine and Community Health (MCH) is the kind of school that officials wish everyone could take the time to see, because what’s happening here defies expectations and debunks long-held views about DPS’ former large regional high schools with generalized curriculums, standard programs and a culture that did not always stimulate academic excellence. 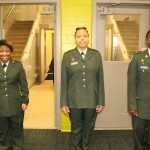 That was true on the chilly evening at the end of January when the school’s auditorium resembled a commencement ceremony or honors convocation. 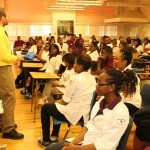 Students were highly serious, parents were joyous, and respected members of the higher education and medical communities—including the president of strong school partner Children’s Hospital of Michigan—took turns imparting wisdom and significant amounts of encouragement to the 120 seniors and their families. 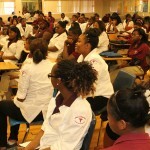 These students were participating in a rite of passage typically conducted at U.S. medical schools, becoming “pinned” and donning new white medical coats. 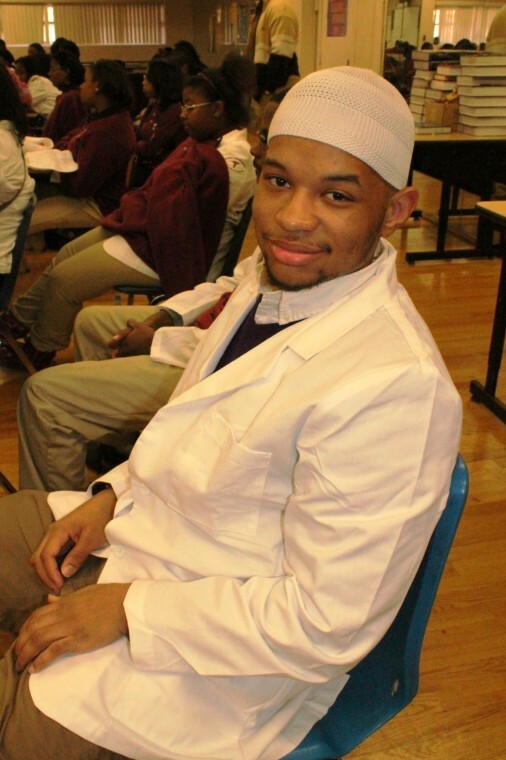 As it turns out, seeing a sea of freshly pressed white medical coats is not an opportunity limited to one annual ceremony here at MCH. 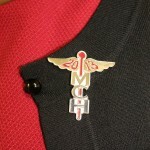 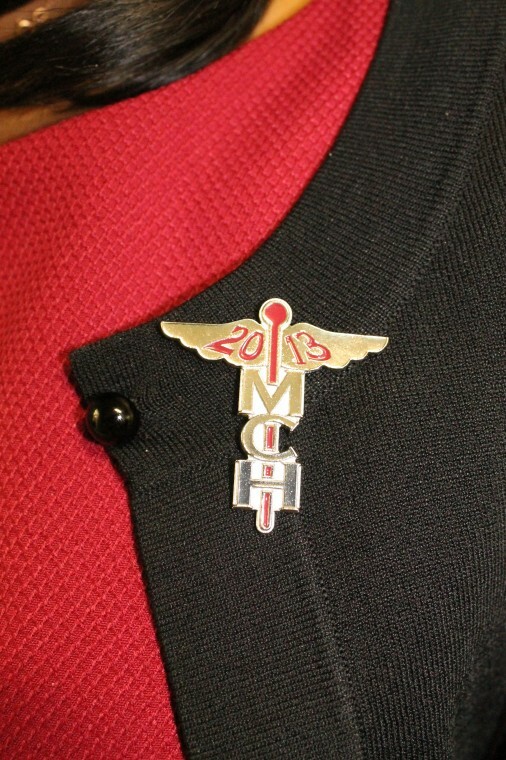 Every Wednesday and on Fridays during seminar periods, all of the seniors, as well as the faculty, wear the professional garments, along with pins bearing the distinctive medical serpent symbol (Caduceus) and MCH initials. 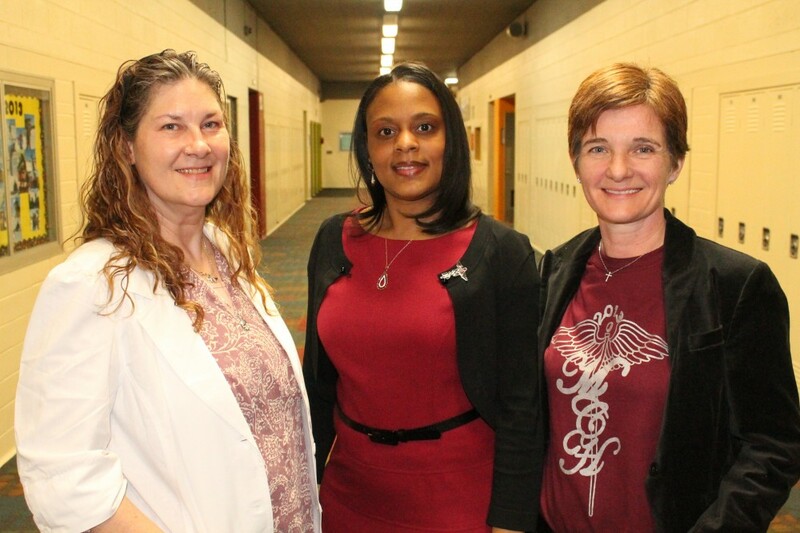 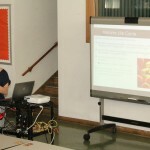 The manner of dress is not the only symbol of the new set of high expectations that Principal Parker and her staff, 80% of whom are new to the school based on the DPS 2012 teacher selection process, feel is important. 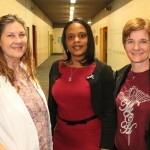 Each staff member made a commitment to voluntarily serve students one to two hours outside of the instructional day at least twice a week. 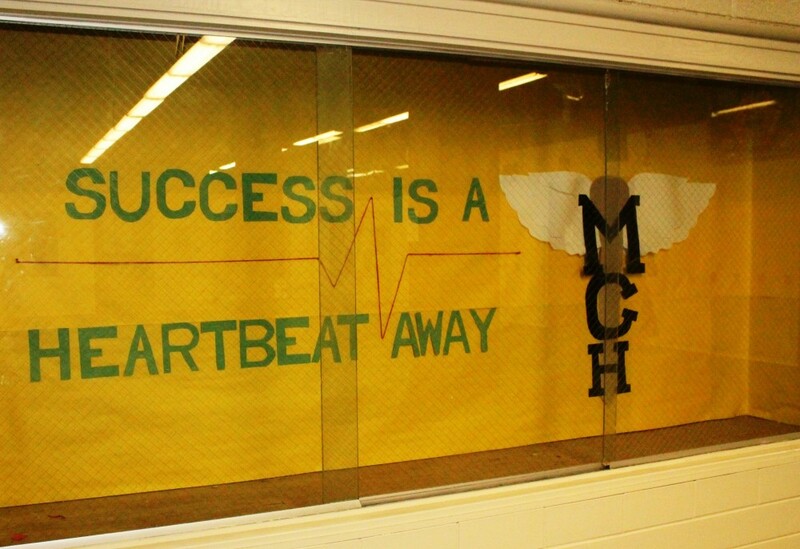 This extra time, combined with consistent school culture, high expectations and committed staff, makes MCH a place where children want to be. 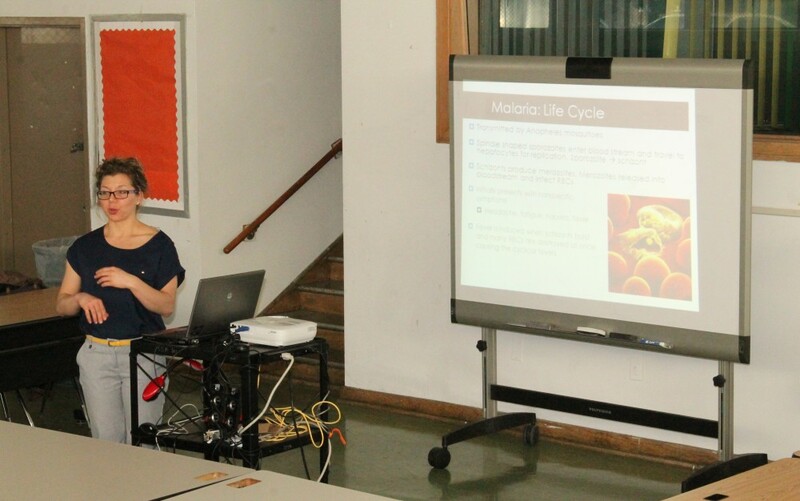 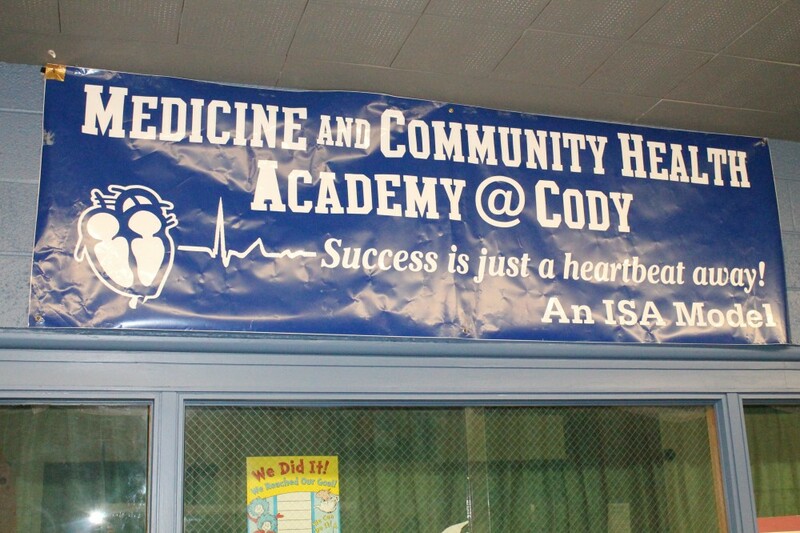 Medicine and Community Health Academy’s goal is to provide students a background in medicine and community health with a college readiness track. 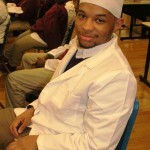 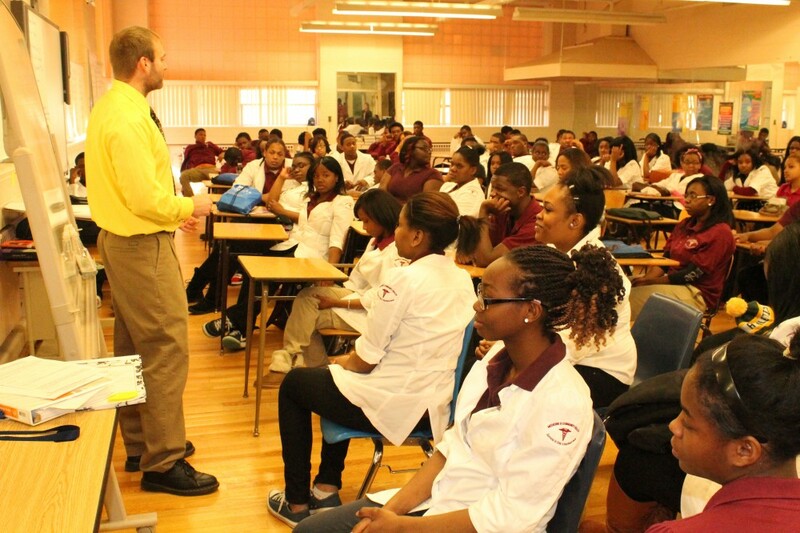 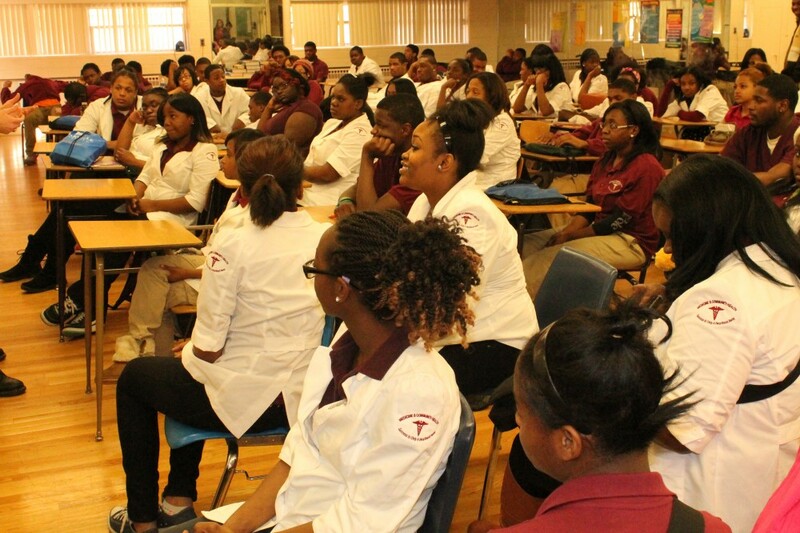 Each student must complete four years of science as well as a health-related internship during their junior year. 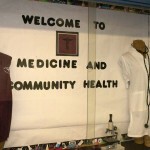 A Residents-in-Training program prepares students for medical related careers, and a college readiness portfolio is required of all first semester seniors. 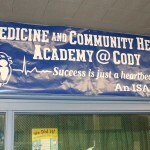 Pride and seriousness permeates this school. 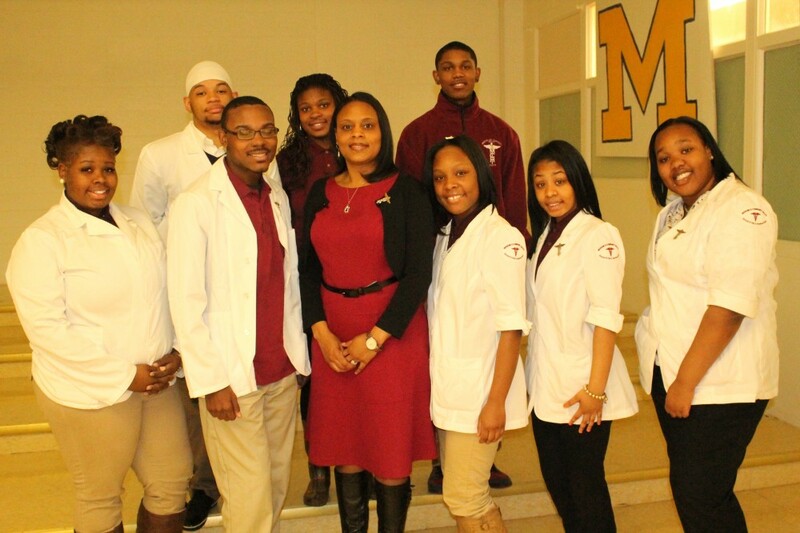 Ninth grade class “Resident President” Johnea Neely, a swim team member whose twin sister also attends MCH and whose father serves as Dean of Students, provides an hour-long tour that is as professional as it is polished. 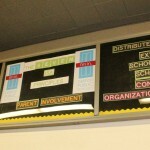 She’s laid out the tour to flow in a way to help tell the story of her school. 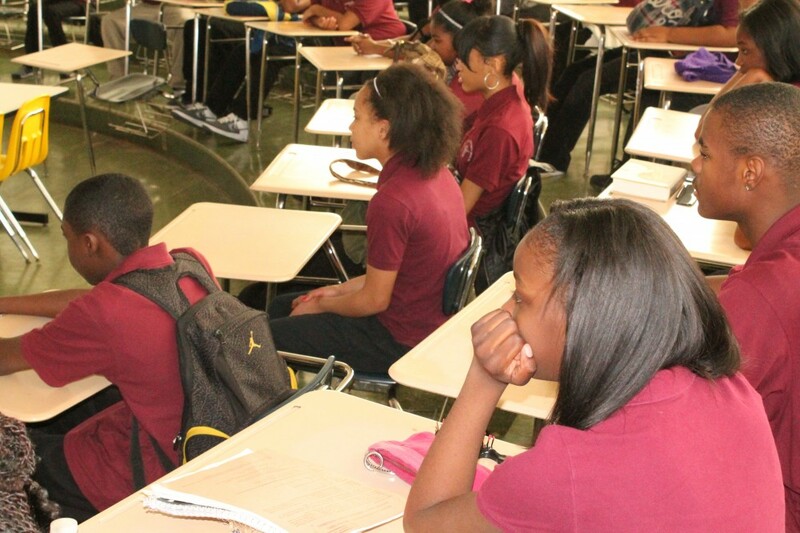 At each site where she stops, the student or teacher is prepared to talk about their experiences….but never at the risk of interrupting instruction, which continues unabated. 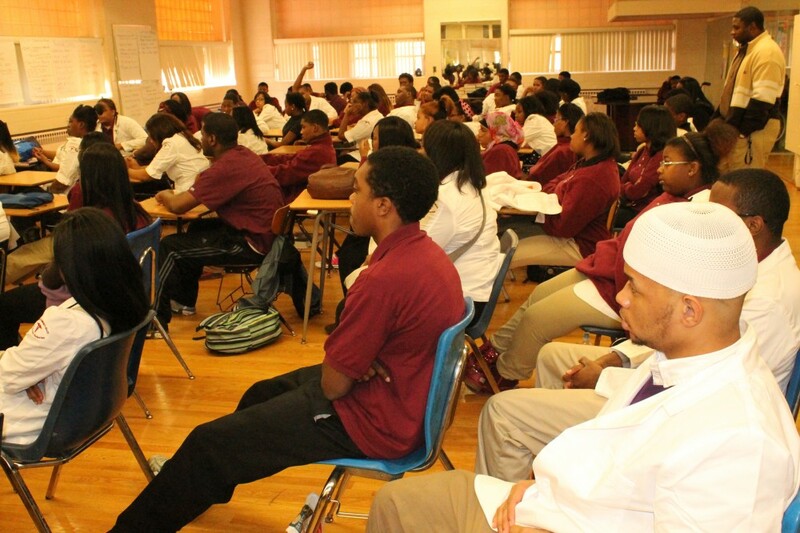 And, coming into a positive place and then moving back out into the community serves to reduce some of the negative influences the youth face in their neighborhoods. 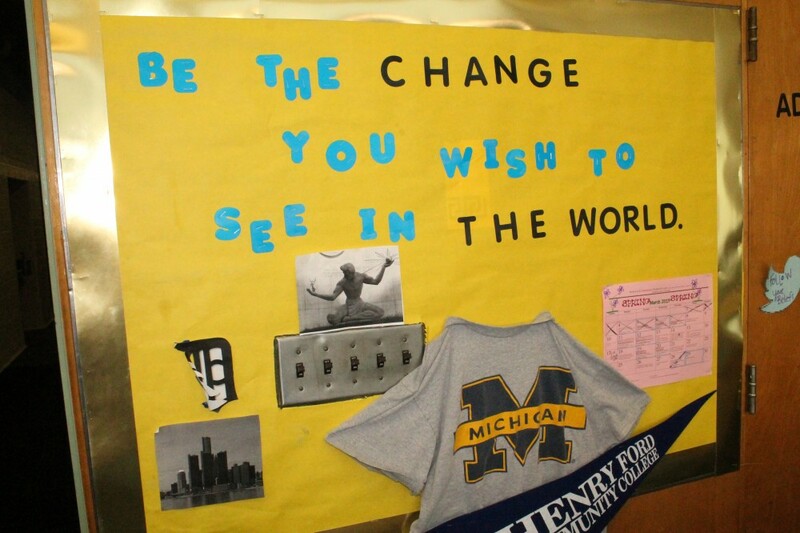 For Resident President Neely, that has helped her set her sights already on college admission to Michigan State University. 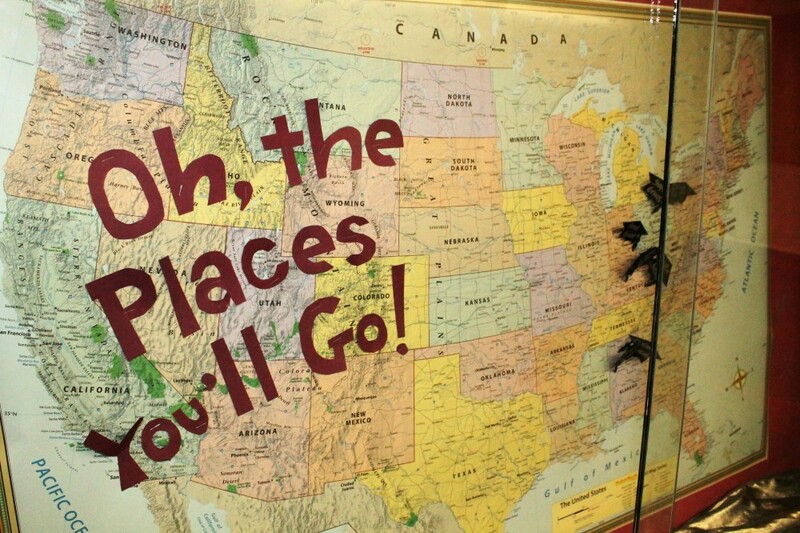 She’s not alone. 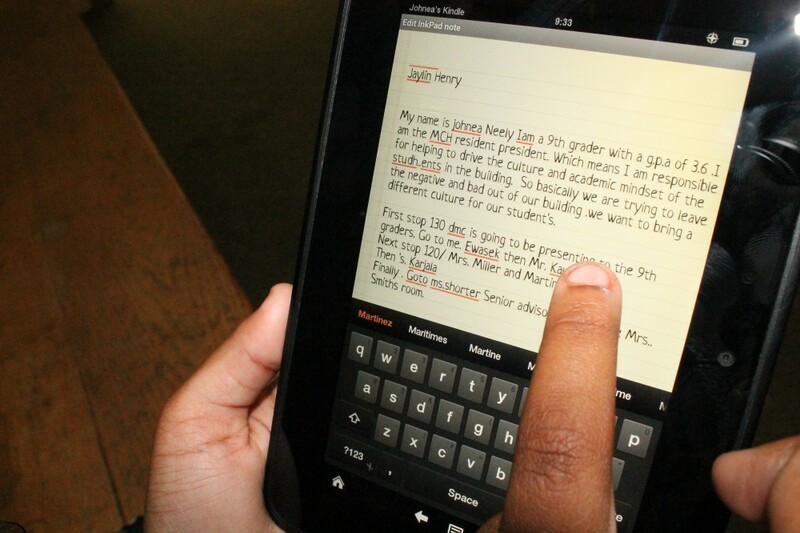 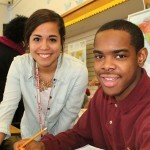 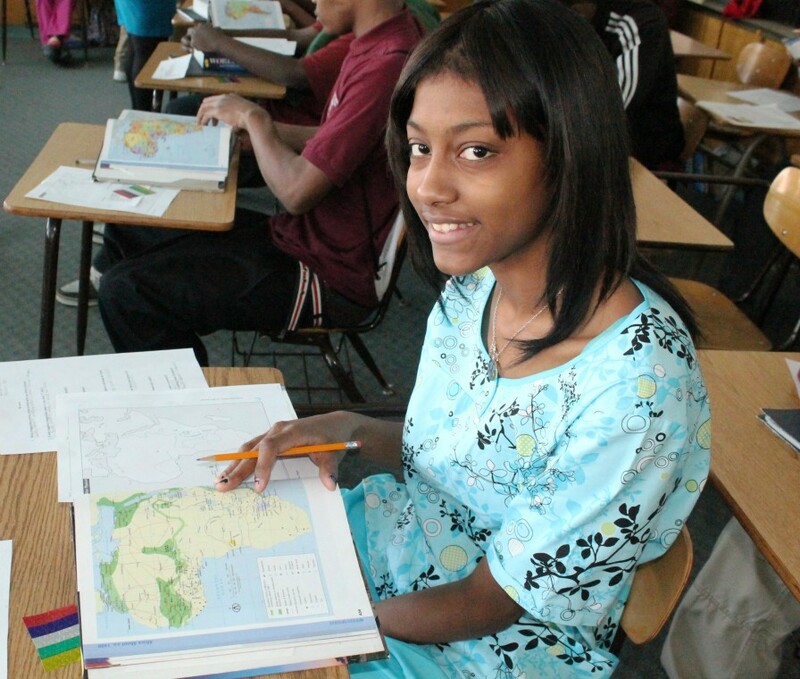 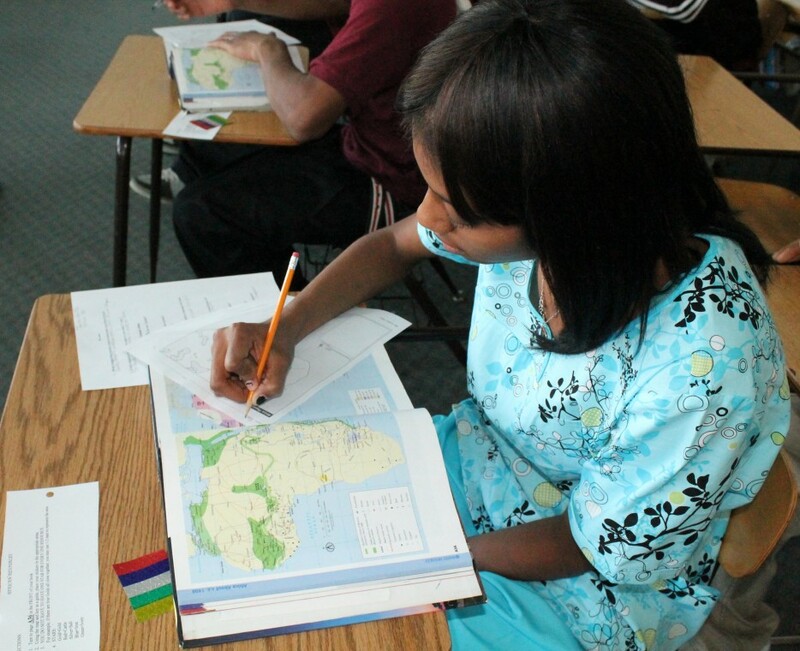 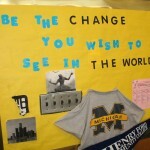 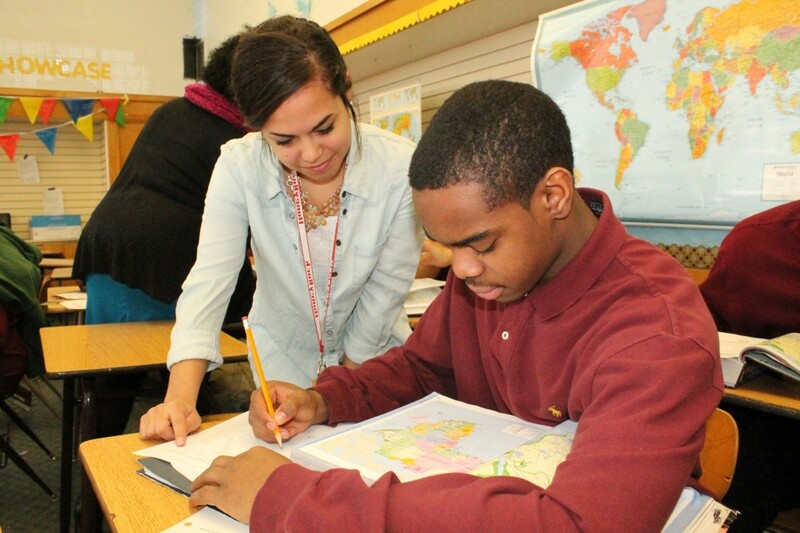 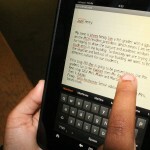 Each MCH student quickly states their college goals in their first sentence of introduction. 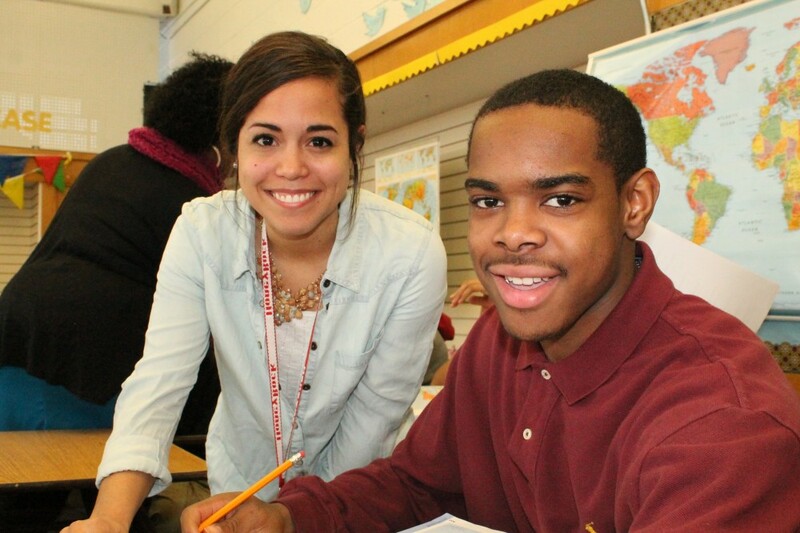 The support she and other students describe from adults is no accident. 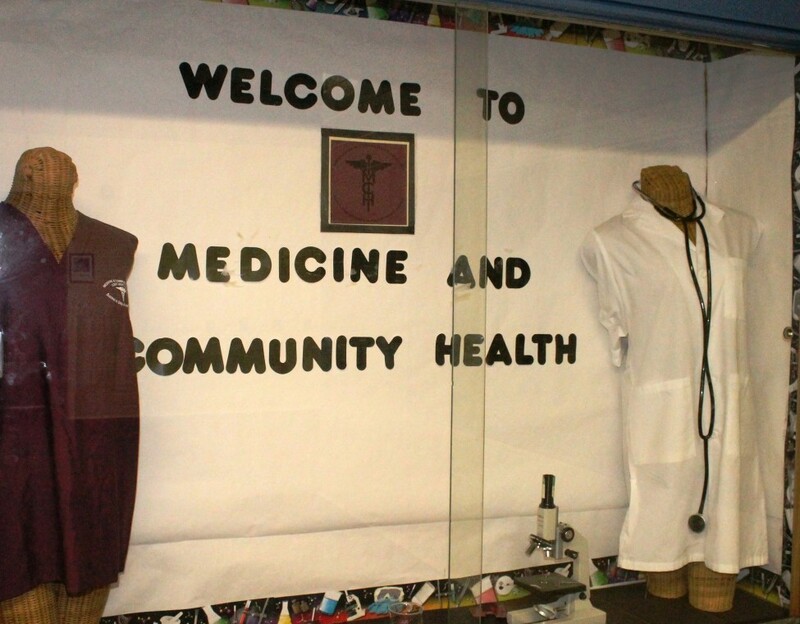 Principal Parker’s remodeled village culture within MCH is not only one of professional and appropriate conduct, it is one of support. 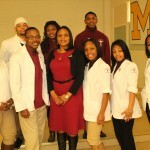 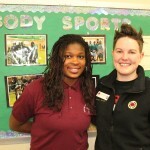 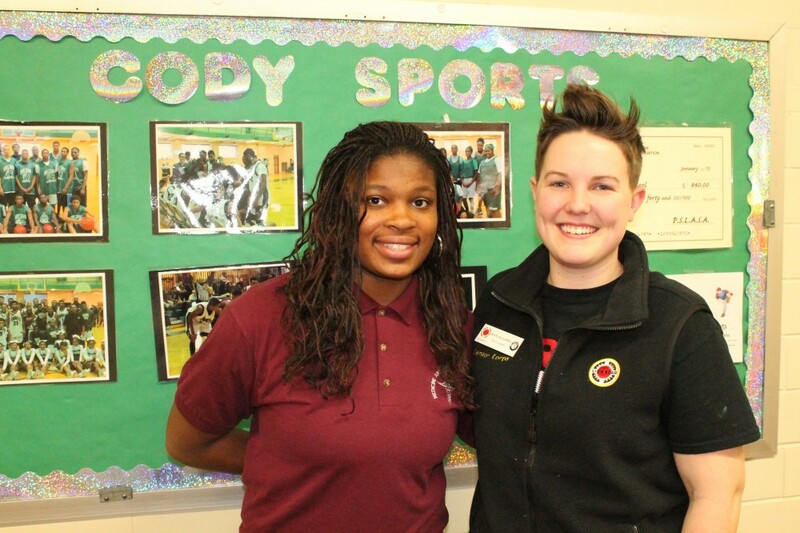 “This is a village of nurturing, caring, friendships, role models, academia, laughter and teamwork,” Parker said. 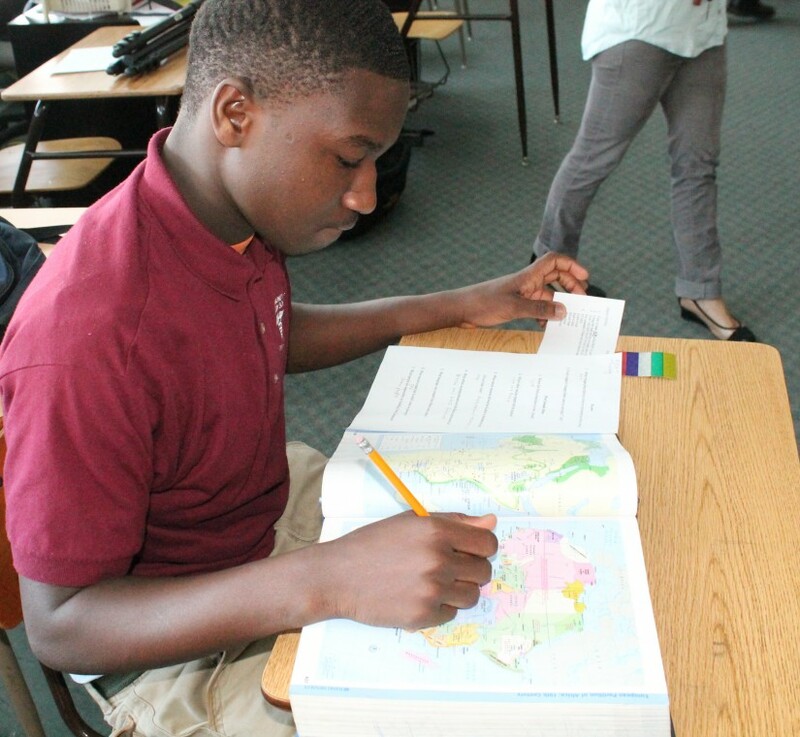 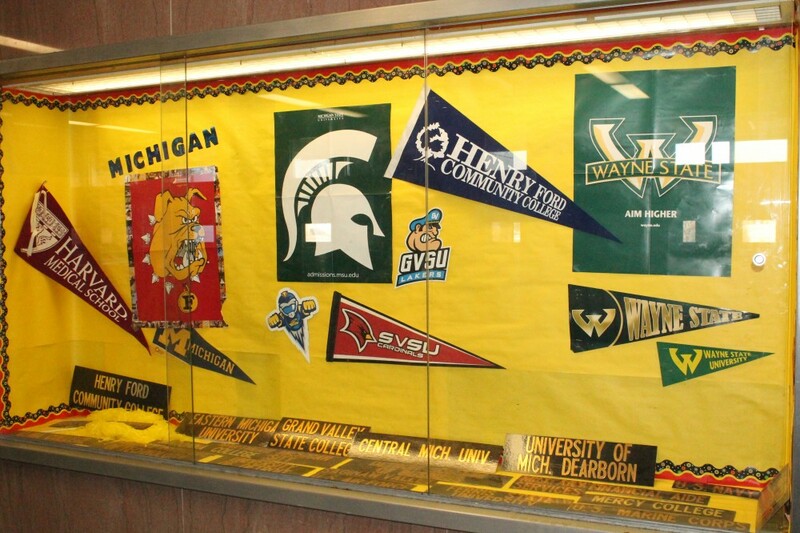 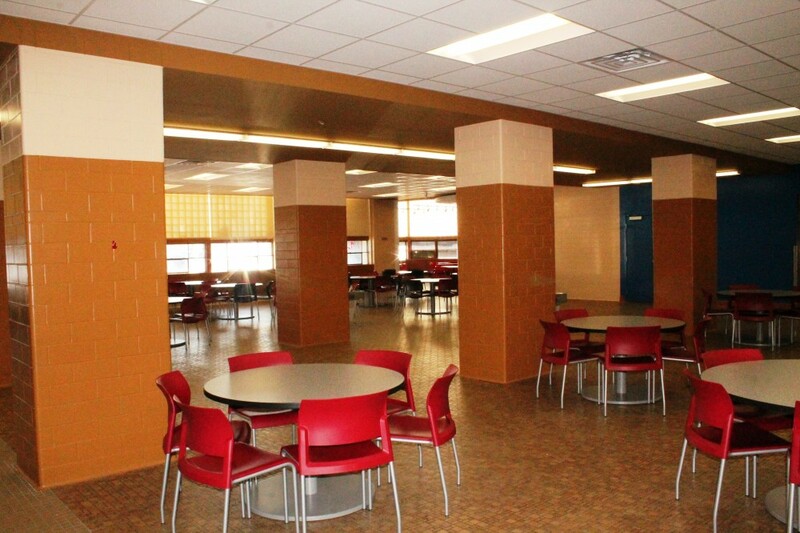 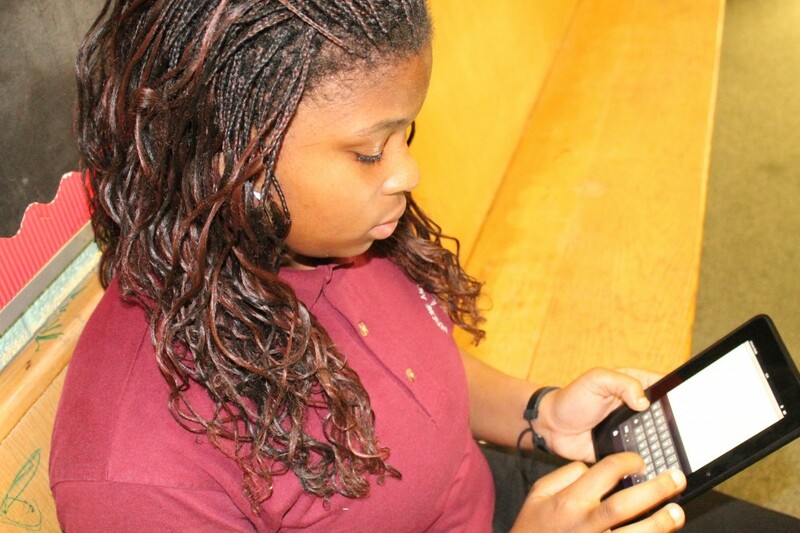 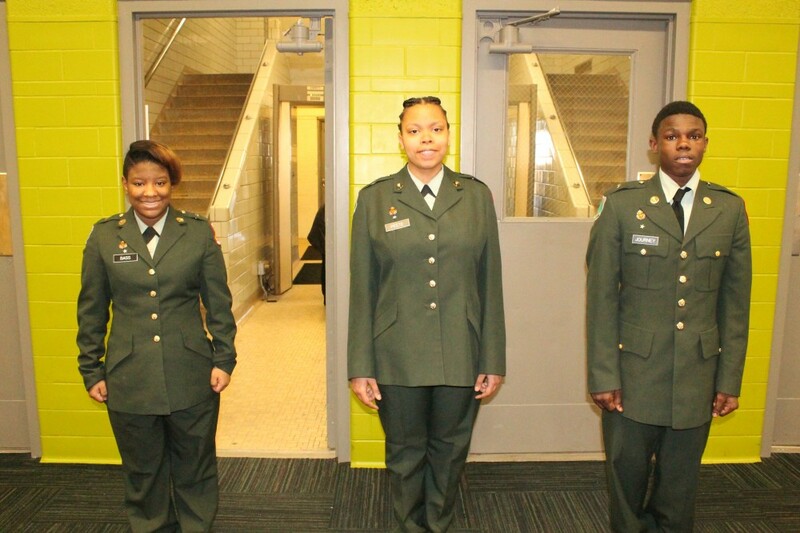 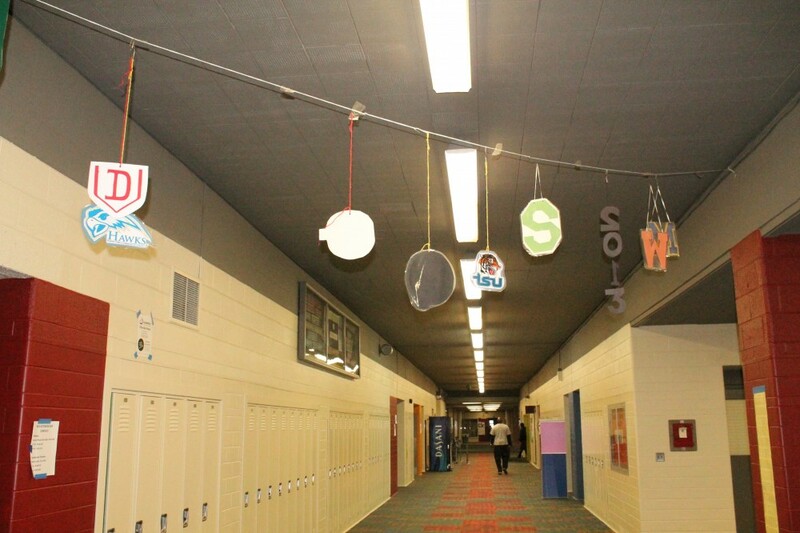 As is quickly becoming the norm across Detroit Public high schools, the expectation of graduation and college admission hangs over every class, program and activity, as well as from ceilings, walls and bookcases. 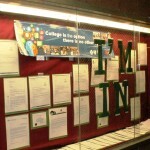 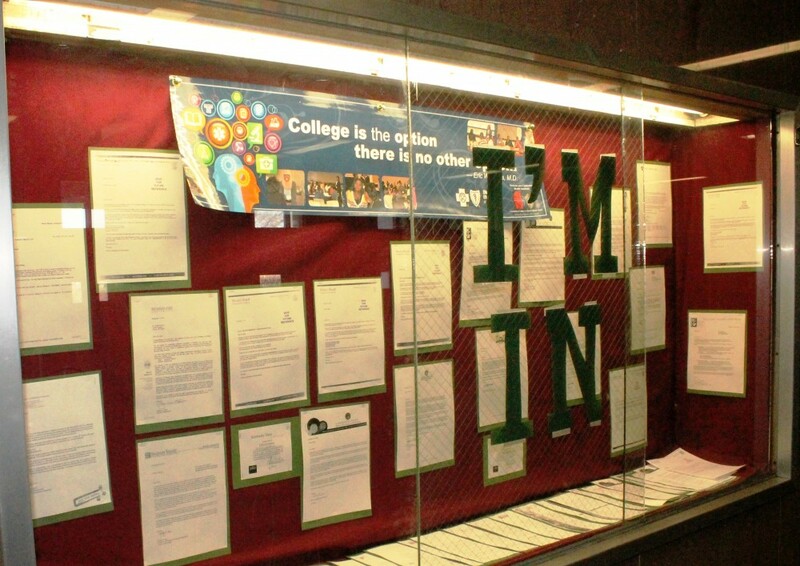 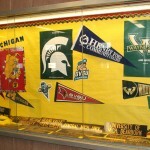 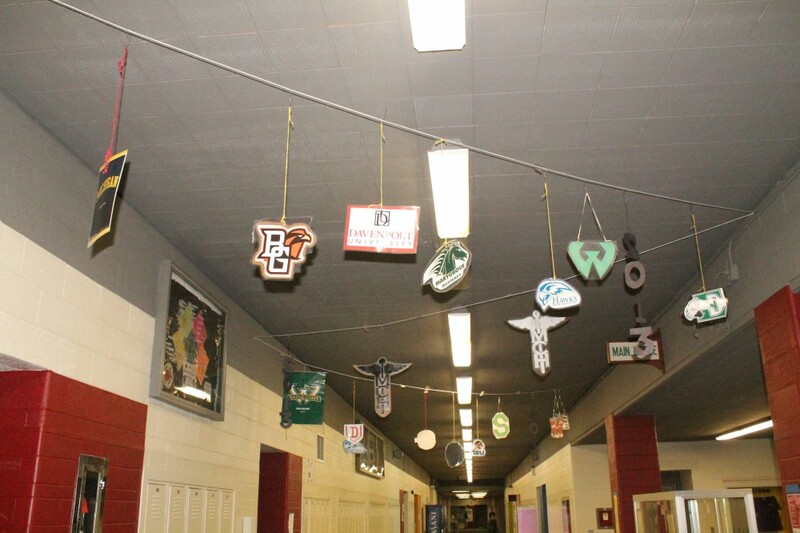 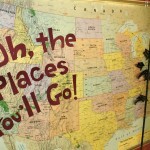 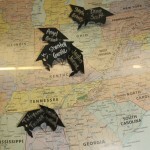 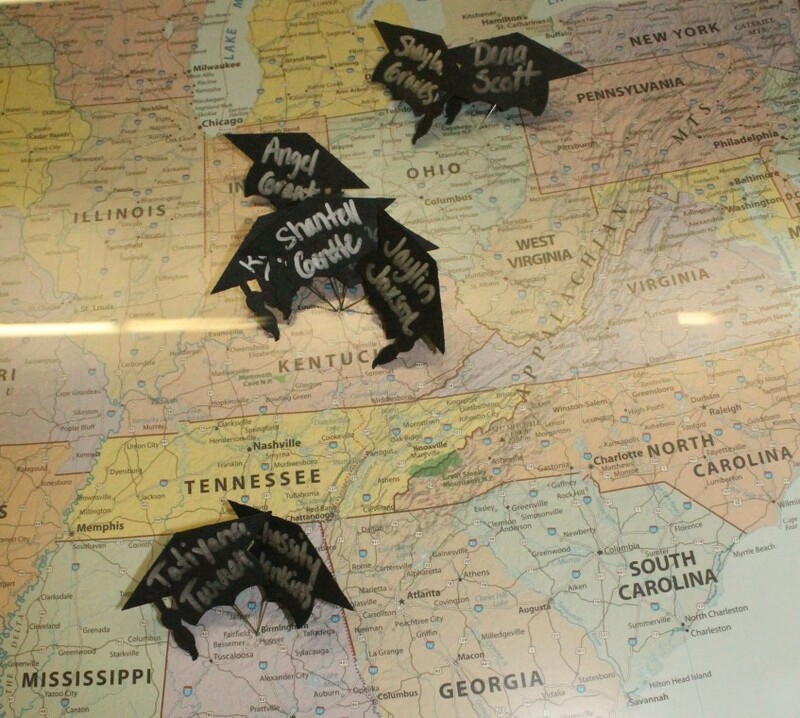 The showcase immediately outside the main office has the familiar “Oh, the Places You’ll Go…” over a map of the United States with student-named mortar boards pinned on the location of their future college attendance. 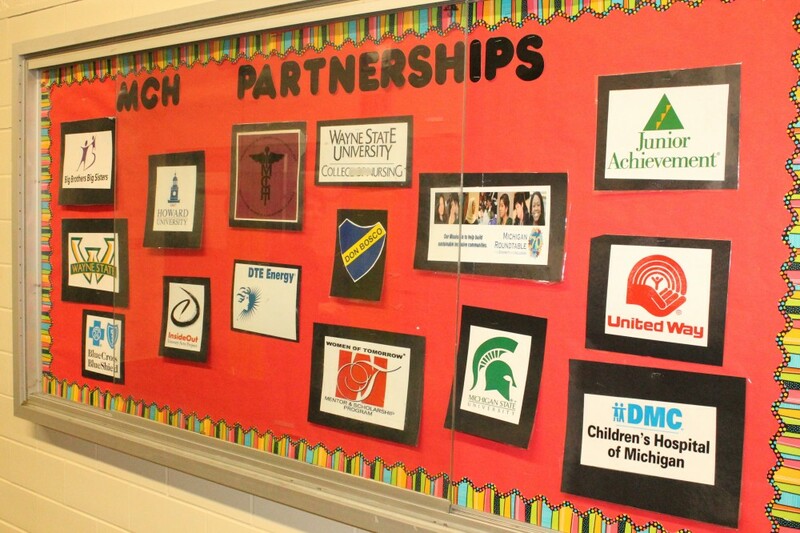 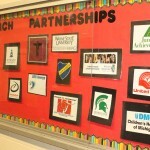 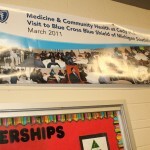 Medicine and Community Health lists among its partners many institutions of higher education and medicine, as well as others including Big Brothers Big Sisters of Michigan, Wayne State University, Blue Cross Blue Shield of Michigan, Howard University, Inside Out Literacy Program DTE Energy, WSU Nursing, Don Bosco Hall, Women of Tomorrow, Oakwood Hospital, Michigan State University, Junior Achievement, United Way and DMC Children’s Hospital. 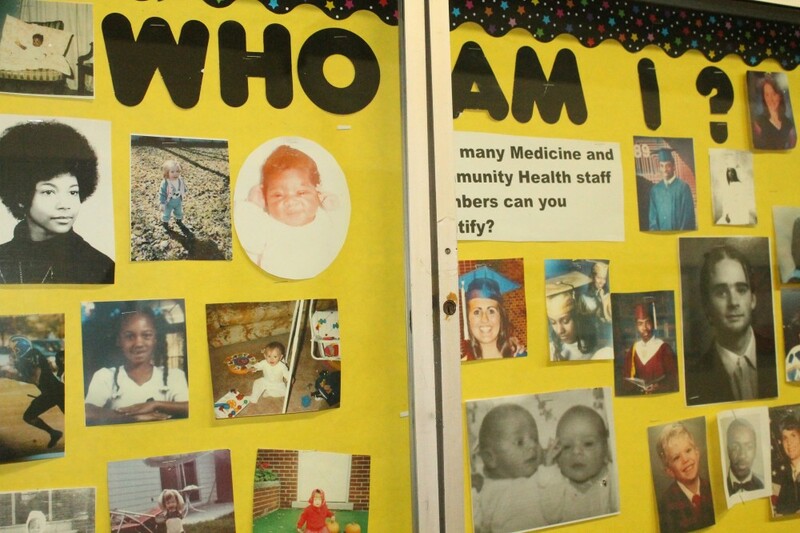 The village, known as Medicine and Community Health Academy, has become a tight knit community-a family-and children are their most valuable members. 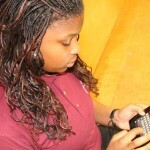 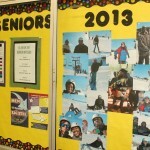 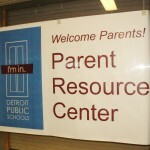 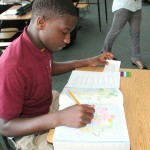 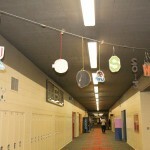 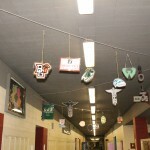 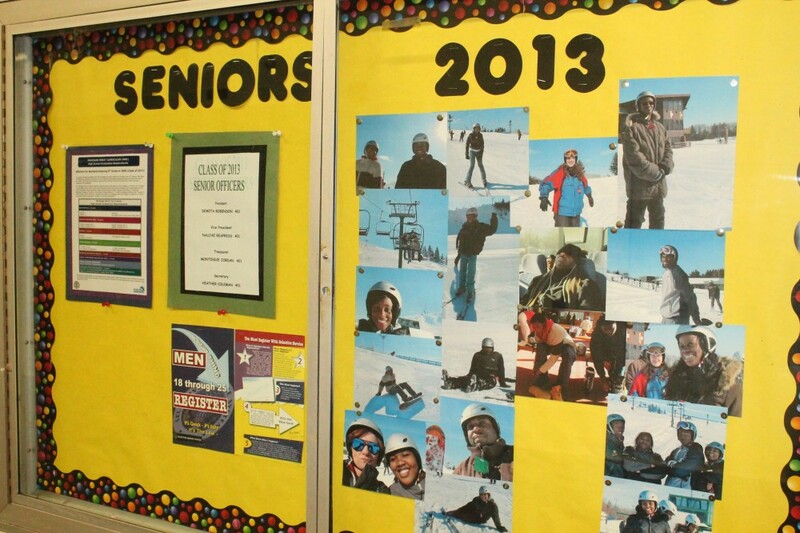 This entry was posted in Info News Center, News and Press Releases and tagged 596, School of the Week.